Happy Thursday! Hope we are all having a good week. 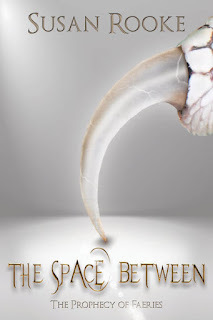 Today I am featuring a Q & A with Susan Rooke author of fantasy novel The Space Between. 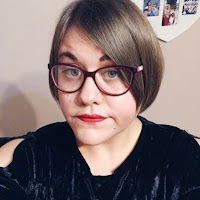 I do love my fantasy so I am really excited to be taking part in this blog tour. Thanks to Laura at iRead Book Tours for allowing me to be a part of this. Hi Susan! Welcome to Amy's Bookish Life. First of all would you like to tell us a bit about The Space Between? Hi, Amy, thank you for having me! My poetry, short fiction and photos have been published in a wide variety of places, but The Space Between is (so far) my only novel. The book’s taken me 12 years from first draft to publication and has undergone numerous revisions, but I love all my characters and wanted to do them justice, whether they’re human, faery, demon, dragon or cat. My very favorite is the Keep’s Penitent Master, Lugo, who can be weak and self-important, but at heart he’s stronger and truer than anyone gives him credit for. In 2005 my self-imposed deadline for starting the book was approaching, and I had no idea what I was going to write. Then the words “A young woman is taken by faeries” came into my head, probably because I’d just learned of a folkloric belief that faeries are descended from fallen angels. A few days later I was on the treadmill, reading an absorbing book about the physical abnormalities documented in human beings. It struck me that the faeries who kidnap the young woman have forced themselves to bear such challenges because of guilt over their fallen angel forebears. I began writing and The Space Between grew from there. The Space Between is very much fantasy based. What are your favourite fantasy novels and why? I’ve loved fantasy fiction since childhood, starting with L. Frank Baum’s Oz books, Hugh Lofting’s Doctor Dolittle series and C.S. Lewis’s The Chronicles of Narnia. Later came Tolkien’s The Lord of the Rings and J.K. Rowling’s Harry Potter series, which I’ve read many times each. Now, Neil Gaiman is my favorite author (with Neverwhere my favorite so far of his books). But currently (and possibly forever), my favorite fantasy novel is Susanna Clarke’s magnificent tour de force, Jonathan Strange & Mr Norell. It’s an alternative history in a class of its own, densely layered, imaginative and satisfying, every period detail delicious, the magic such a natural feature of the zeitgeist that I can’t help believing wholeheartedly in her world. She’s a marvellous writer. If you could compile a playlist for the book what would be on it? As far as a playlist to work by, music often distracts me while I’m writing, so if I listen at all, it’ll usually be to electronica, specifically, ambient. The ambient-er the better, though Daft Punk and deadmau5 can be helpful to my concentration. If the book is ever made into a movie, my dream composer to score it would be Ludovico Einaudi. I love his album In a Time Lapse, in particular the song “Discovery at Night”—haunting, reflective and heartbreaking. And who would be your dream cast if The Space Between was ever made into a movie? I’ve wondered about this question for years, and still have no answer. Maybe a group of talented unknowns unassociated in the public mind with prior roles? I do have two choices for my dream director, though: Peter Jackson or Guillermo del Toro. Or if Tim Burton wanted to do a stop-motion animated film of The Space Between, I think I’d be seriously tempted! Lastly, any advice for anyone wanting to write? Don’t make the mistake of thinking, “There’s always tomorrow.” Too often there’s not. 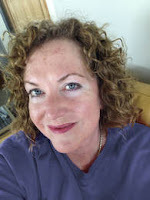 Procrastination is deadly to writing (I should know!) and something that preys on me is the thought of getting to the end and being filled with regret for the writing I left unwritten.